Using an iPhone and the family iPad for years helped me understand the intuitive nature of the experience. 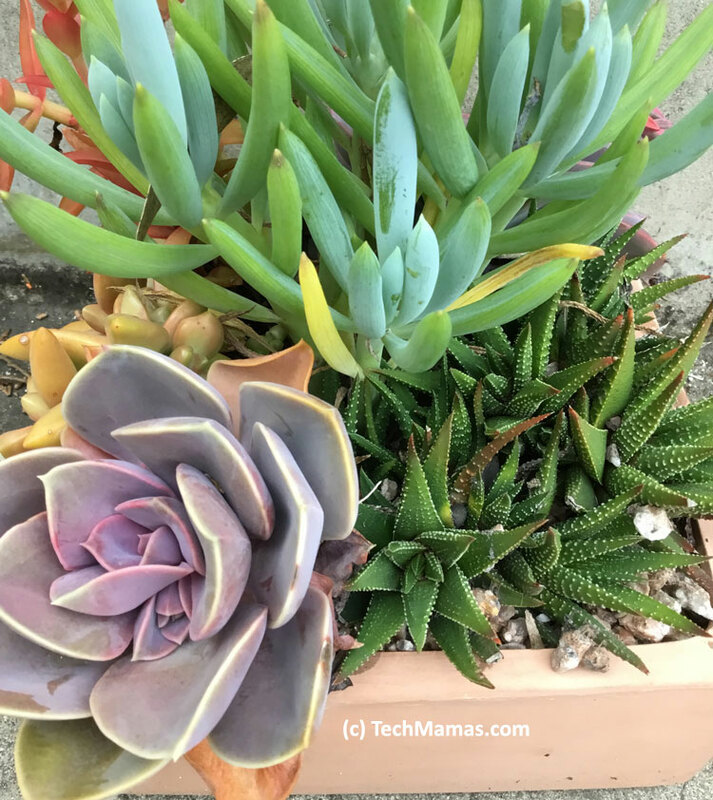 I was also inspired after watching my teens use their iPhones and iPads not only for phone calls and photos, but also for life management and learning. Apple gave me an early look at the new 9.7 inch iPad and I was excited to learn new ways I could use the iPad for work, scheduling, communication, creativity, entertainment and learning. The new 9.7 inch iPad, now available to purchase on Apple.com, will arrive next week in Apple Stores, through select carriers and Apple Authorized Resellers (prices may vary) in the US and more than 20 countries. 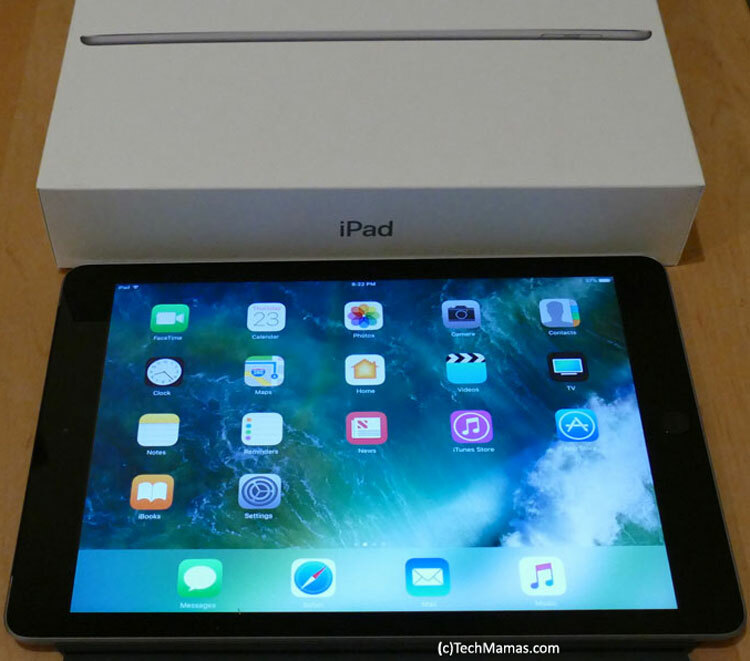 Starting at only $329, with the power of the A9 chip, all day battery life (up to 10 hours), 8 MP iSight back camera, 1.2 MP front FaceTime camera, beautiful LED-backlit Multi-Touch, Retina display and a full suite of apps, the new iPad has versatility without complexity, all for an affordable price. I received a iPad loaner to review and can’t wait to try out all the new features and apps! My next posts will include an unboxing and deeper dive into recommended apps. To start, I wanted to summarize the features and apps. The new iPad is 9.7 inches, which is the perfect screen size to enjoy content but also small enough to take it on the go. 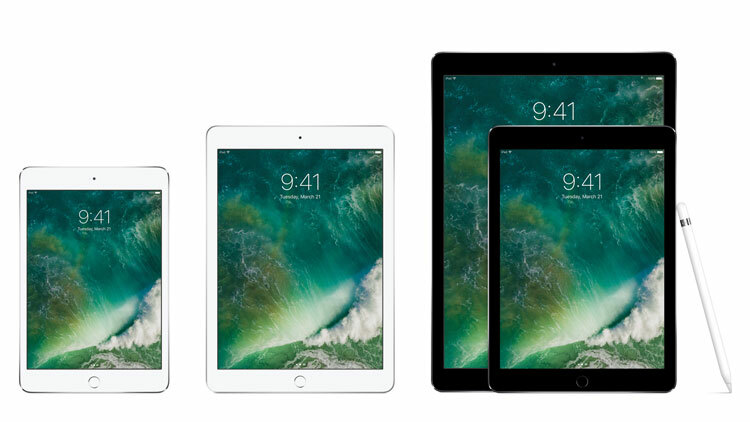 To understand the different iPad sizing, the photo below shows the iPad Mini at 7.9 inches, the new 9.7 inch iPad (middle), and the iPad Pro that comes in either 9.7 or 12.9 inch. 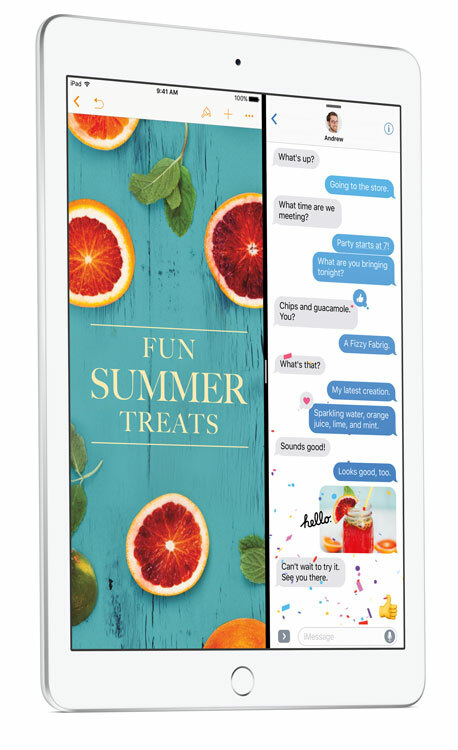 The iPad comes with iOS 10, which has multitasking, communication and productivity features such as expressive messaging, Night Shift, News, Slide Over, Split Screen and Picture-in-Picture. For example, I can use the iPad Microsoft Word and Microsoft Excel app at the same time in Split Screen. Or I could watch a video while taking notes. I can also use the iPad’s camera to scan and save documents such as travel receipts using the Scanbot app and then send via email or store on cloud services such as iCloud or Dropbox. The new iPad offers easy creation of photos and videos using the vibrant and intuitive touch display. Here are two (unedited) photos I took yesterday with the iPad’s back camera. 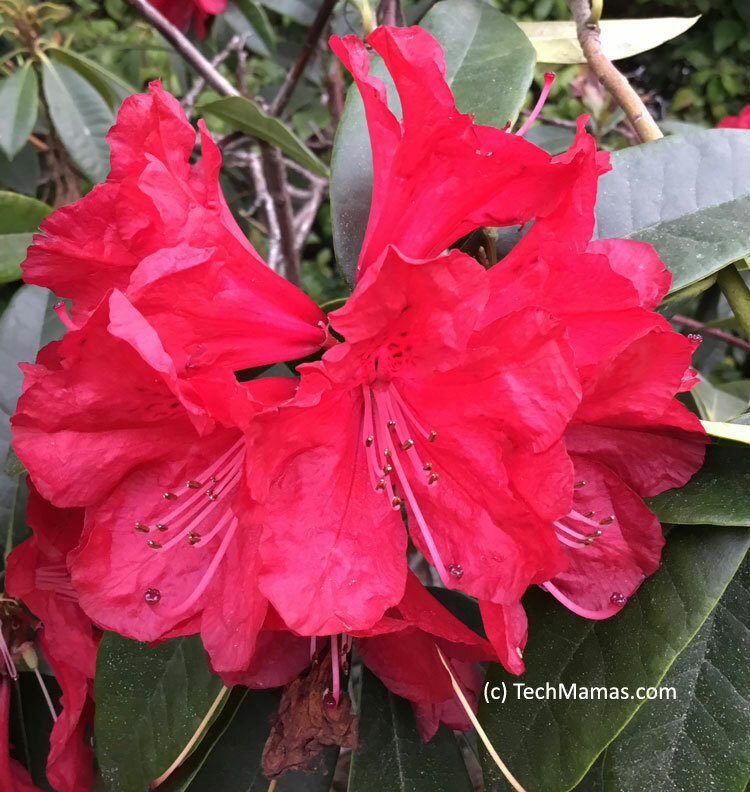 The advanced iPad camera features (including 8 MP iSight camera, Exposure control, Auto image stabilization, 2048-by-1536 resolution) and apps (such as iMovie, Adobe Spark Video, Adobe Photoshop Fix or Pixelmator) will enable me to create and edit more photos and videos on the go – from one device – instead of waiting to get home to my desktop! Unedited photo created by TechMamas.com using the new iPad. 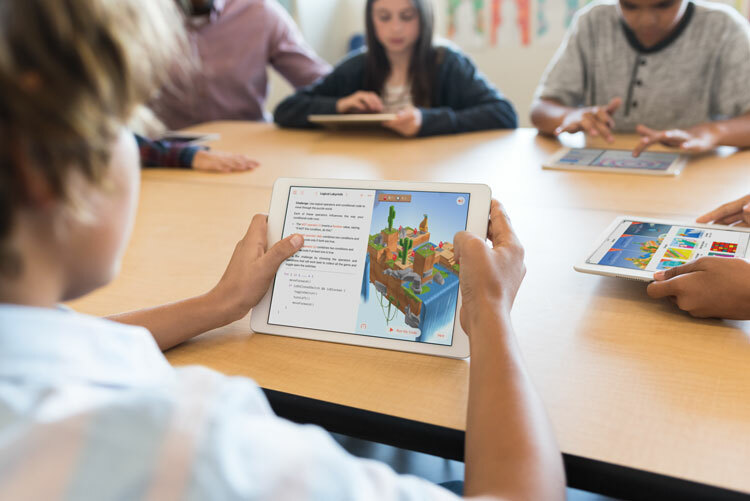 With 1.3 million iPad apps, including 180,000 apps for education, there are many ways to learn with the iPad. To search for iPad apps from the iTunes store, search for “iPad only” apps to find those designed specifically for iPad or ones that can be used for both iPhone and iPad. For younger kids, the Endless Reader app is a great tool to learn about letters and words. The Proloquo2Go app promotes language development and communication skills. My teens are excited to try the Swift Playground App, which offers an interactive way to learn Swift to create their own apps. It looked like so much fun, I decided to learn Swift as well! 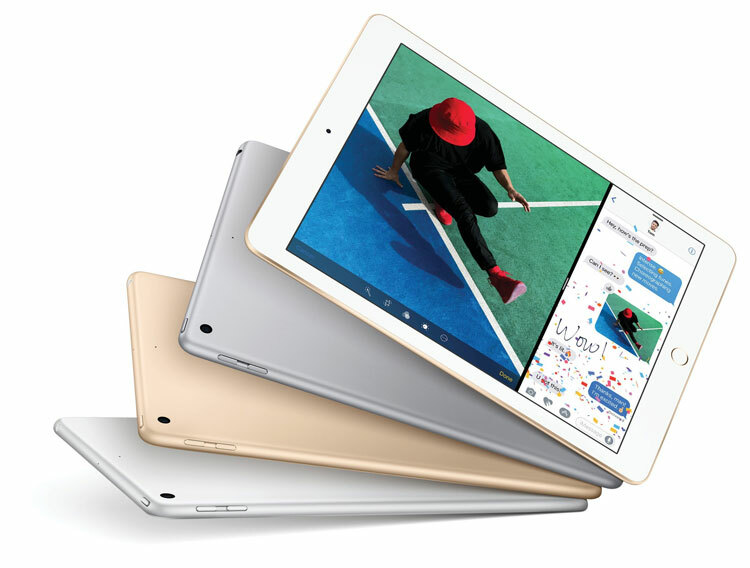 The most affordable 9.7 inch iPad Apple has ever made, starting at $329 (US) for the 32GB with Wi-Fi model and $459 (US) for the 32GB Wi-Fi + Cellular model at Apple.com and Apple Stores. Display: 9.7-inch (diagonal) LED-backlit Multi-Touch, Retina display (bright as the most advanced screen they make on the 9.7-inch iPad Pro). Height: 9.4 inches (240 mm), Width: 6.6 inches (169.5 mm), Depth: 0.29 inch (7.5 mm), Weight, Wi-Fi: 1.03 pounds (469 g). Back Camera: 8 MP iSight camera with Autofocus. Panorama (up to 43 megapixels) HDR for photos, Exposure control Burst mode, Tap to focus Timer mode ƒ/2.4 aperture, Five-element lens Hybrid IR filter, Backside illumination, Auto image stabilization, 2048-by-1536 resolution, Face detection and Photo geotagging. Video Recording : 1080p HD video recording (30 fps), Slo-mo (120 fps) with Time-lapse video with stabilization, Video image stabilization, Face detection and 3x video zoom. Front Camera: FaceTime HD, 1.2-megapixel photos ƒ/2.2 aperture, 720p HD video recording Backside illumination. Chip: A9 chip with 64-bit architecture Embedded M9 coprocessor. Connectors: Lightning connector, charge via power adapter (included with purchase) or USB to computer system. Microphones: Dual microphones for calls, video recording, and audio recording. Sensors: Touch ID, Three-axis gyros Accelerometer Barometer, Ambient light sensor (for games and other motion featured apps). Touch ID: When you set up Touch ID, it can be used to unlock the iPad, secure personal data within apps and make purchases from the iTunes Store, App Store, and iBooks Store. For parents, it also allows you to secure specific apps if they share their iPad with their children. Touch ID also enables secure purchases in Apps with Apple Pay. Apple Pay: You can pay with your iPad using Apple Pay. Siri on iOS 10: Use voice to send messages, set reminders, listen and identify songs hands free. Cellular and Wireless support: The new iPad the latest-generation Wi-Fi (802.11ac) and LTE, up to six times faster Wi-Fi and 21 times faster cellular data connectivity. Supports Apple SIM which enables you to connect to wireless data plans right from your device when traveling in more than 140 countries and regions. Integration: iPad offers integration with your iPhone or other iOS devices. You can also use airdrop to send files across devices. The press release also explained that “Every customer who buys iPad from Apple will be offered free Personal Setup, in-store or online(in most countries) , to help them customize their iPad by setting up email, showing them new apps from the App Store and more”. I found the setup to be quick and easy – just a few steps including setting up iCloud using my Apple ID. My next post will include an unboxing and examples of apps. Do you have an iPad, looking to upgrade or buy a new mobile device? I was considering buying another smaller laptop for mobile use but now I am going to take the new iPad (loaner) for a test drive over the next few weeks. I have a feeling it just may be the perfect fit!